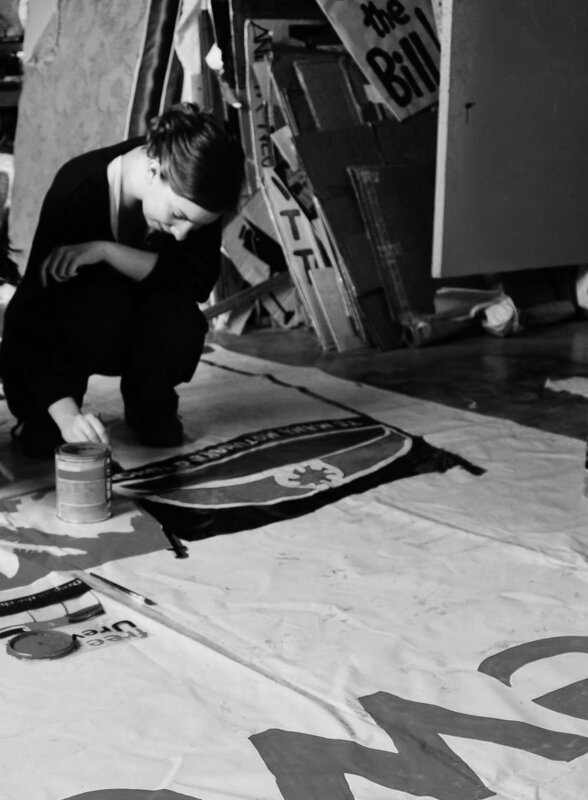 Amanda is a printmaker and mixed media artist interested in building connections between artists, radical social and political theorists, academics, and grass roots community projects. Her belief that the voices of artists and unique insights possible through the arts are fundamental in both speaking back to existing systems of power and imagining different futures has lead her to a practice that sees art making as both a political and personal action. She is a collective member of Abolition: A Journal of Insurgent Politics with work featured in radical journals and publications such as Briarpatch Magazine and Changing Suns Press. Originally from Edmonton, Canada, and currently based out of Berlin, Germany, her work focuses on overlapping sites of personal and political conflict and can be found in streets and galleries locally and internationally.